This weekend Dan and I went down to Morehead City to meet with the caterers and the florists for our September wedding. It was an incredibly successful and relaxing weekend away, exactly what I needed. 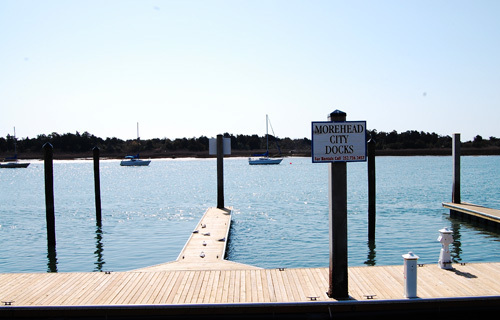 For those that are not familiar with the area, Morehead is located in the southern Outer Banks, in Carteret County or the “Crystal Coast.” The nearest lighthouse is Cape Lookout, which sits on the Cape Lookout National Seashore, which is the longest expanse of protected, unsettled banks in the chain. 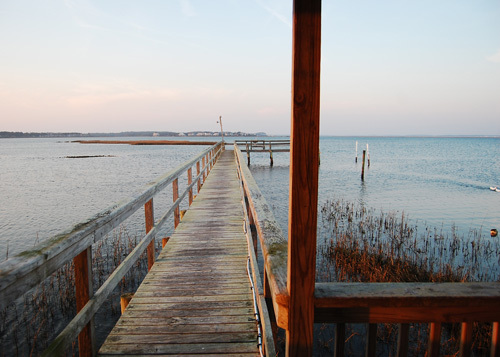 The reason we decided to get married in Carteret County is because it’s the sort of place where you feel completely at peace. I’ve been going down there my whole life and as soon as I cross through Havelock I start feeling giddy. It’s the sort of place that that inspires you to scheme up ways to make a life down there (something my parents are figuring out how to do). Dan and I spent the entire seven hour drive home developing a business plan for a waterfront coffee shop (something Morehead desperately needs). We think we’ll be a big hit. 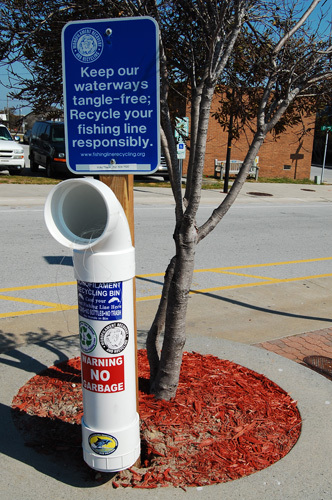 Carteret County is known for a lot of things. The charm, the amazing diving, the beautiful scenery, and fresh, delicious seafood. I guess it goes without saying that seafood in a fishing town is bound to be good. If there is one thing that people Down East know, it’s seafood. One of my favorite things to do while we’re down there has always been to go to the fresh seafood market with my parents and sisters, pick a selection of the catch of the day, and have a feast back at the house. 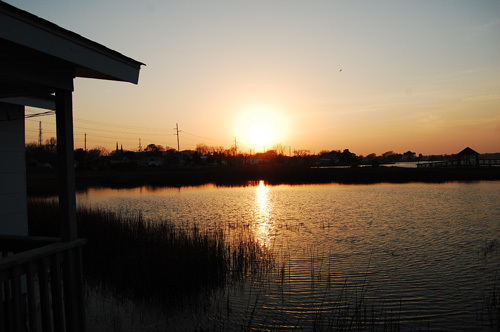 There’s nothing like sitting on the back porch looking out over a marsh with a stomach full of tuna or dolphin or mackerel. That’s the closest I think I can get to being completely content. This trip down was a brief one so there was no trip to the fresh fish market, though my father did surprise me with two of my favorites, brunswick stew and kingfish dip. 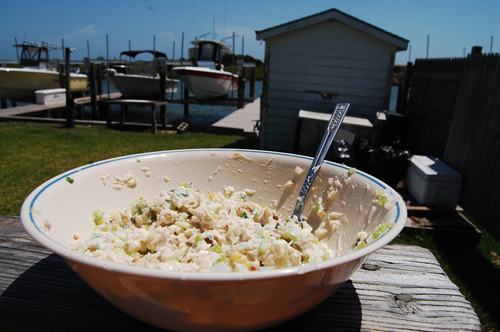 His kingfish dip is delicious, and I always love when he makes it, so I was even more excited when he offered to share the recipe. Kingfish, or king mackerel, are a fish that migrate with the gulf stream. My father makes the dip with smoked kingfish. You can find smoked mackerel at specialty grocery stores, vacuum sealed, and also at some fish markets. Or, if you’re interested in learning the art of smoking fish, there’s an informative site here. *UPDATE* So the Capt’n informed me this week that he has been using amberjack in place of kingfish, and adding a dash of wasabi to the formula. He’s been pleased. With a fork, flake the smoked fish off the filet. You can flake it finely or coarsely depending on your preference. Discard the darker meats that you find in the center of the filet. Put the smoked fish in a medium bowl and pour milk over it. Cover and soak in the refrigerator for thirty minutes. Drain the milk using a fine strainer and place the fish back in the bowl.